Inbound marketing is essential to the lead nurturing process. World class organizations know how to turn inbound marketing into lead nurturing. Channels such as PPC, SEO and SMM provide ways to get exposure, but it’s what you do with the leads that come as a result of inbound marketing that makes the difference between creating sales and wasting time. Prospects are directed to your website because of a desire to respond to your marketing message; they are already interested, so now is the time to convert them to qualified leads in order to move them through to sales engagement. 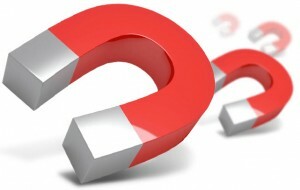 Here is the process to turn inbound marketing interest into sales-ready leads. First, get your leads’ attention by being where they are. Learn the most relevant search terms related to your company or product, and include them in your site’s meta data and online content. Look for underused phrases and terms that have little competition to attract niche segments. Find out what your customers’ interests are and deploy creatives through channels that address those interests. Often, you’ll find more success by segmenting your markets and delivering targeted messages through specific channels, rather than relying on channels that attract a broad audience. The next step is to build interest by providing free information. Use thought leadership vehicles – such as a company blog or a how-to video – to establish a relationship of trust. Podcasts, videos, newsletters, blogs or white papers all provide a way to increase your lead’s interest in learning more. At this stage, the objective should be to collect minimal contact information like an email address in order to establish an informal connection. Most prospects will not provide much information without first getting something valuable in return, so make sure the content you provide is worthy of their commitment. Build the relationship to a point of being able to gather contact information through the use of forms. This converts a marketing lead into a sales lead by establishing the prospect’s identity and giving you permission to contact her in the future. Be careful not to request detailed information too early in the sales cycle; often it’s more effective to build trust first, then elevate the engagement. Providing premium content such as detailed industry research, for example, can allow you to establish a formal connection with your prospects, and provide a gateway to your lead nurturing process. Once a sales lead has given permission to continue a relationship, maintain a connection through email drip campaigns, outbound calls, direct mailers or other channels. At this point the relationship has been established but your prospect is not sales-ready. Be sure to continue providing value to each prospect, but also use the nurturing stage to learn more about him. Find out more about his budget, authority, needs, and timing (BANT). Once you’ve nurtured the lead to the point of imminent purchase, move him into your CRM for a sales call. It can take weeks, months, even years to take an inbound marketing response to a sales-ready prospect, but it is important to recognize the process and maintain a consistent approach. Some techniques can – and should be – tweaked along the way, but following this framework can generate demand for years to come. Interested in understanding how Lead Liaison can help you turn inbound marketing into lead nurturing? Give us a howdy today!